First Week Back - ABCs, Phonics and Handwriting! 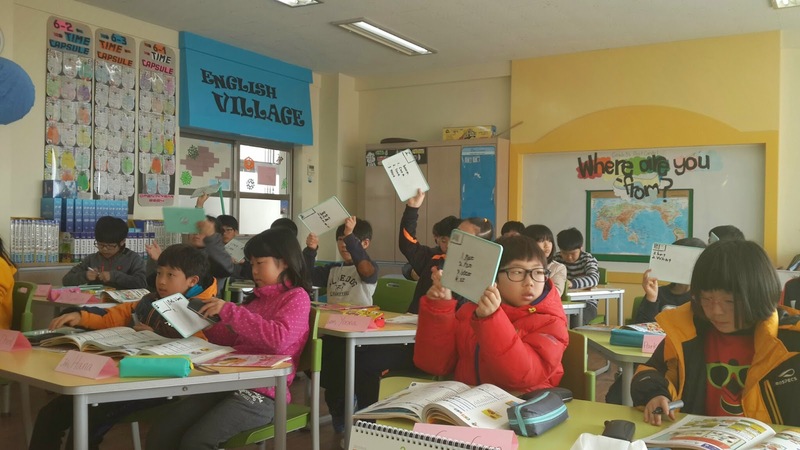 Dear teachers of the new Korean school year - hang in there, we'll be in routine soon enough. It feels like a long week already as we've come back from our vacations...and or desk warming (YUCK!) and now we've got new schools and/or new classes, new faces and more. For my first week back I wanted to do a kind of intense yet fun, back to English program. 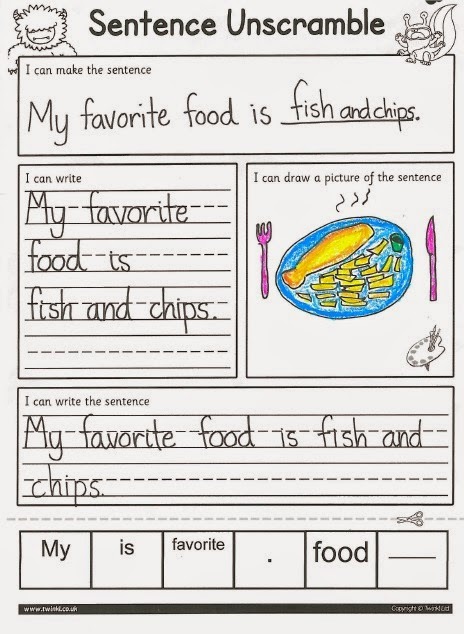 I thought a good way to stay the year was to check on the student's phonics, handwriting and reading. This lets me get to know my new student's levels as well as check on where I'm at with the students I already know. I've got three schools total now, so I am teaching grades 3 and 4 as well as 5 and 6. I'll have a lot more resources for the young ones this year! So first off, a phonic game for grades 5-6...it's a bit too challenging for my grade 3s and 4s. 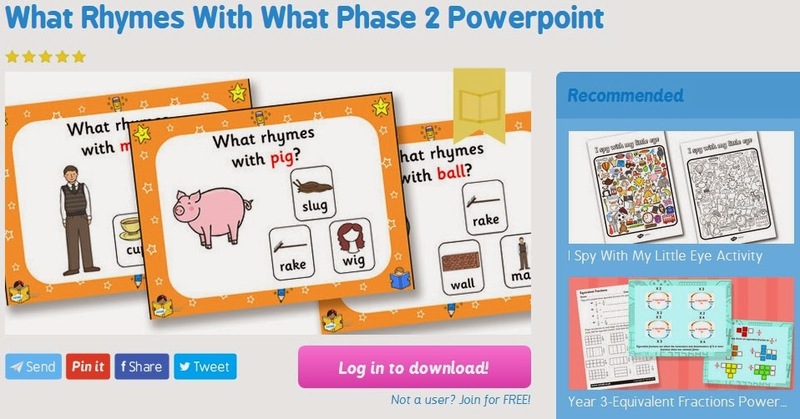 This PowerPoint is downloadable from the Twinkl website - it's a great website for all sorts of primary/elementary resources and spans across all subject fields. You can always make your own version of this powerpoint by writing out the question "What rhymes with _____?" and having a selection of words the kids have to choose from. This was a great game to practice spelling and phonics with as rhyming can teach the sounds of words and letter combinations. You play simply by having the class tell you the correct word match. I wanted to be more creative, so I had the students with their mini whiteboards and markers, they wrote their answers on their boards and waited until I said "show me!" to reveal their answer. 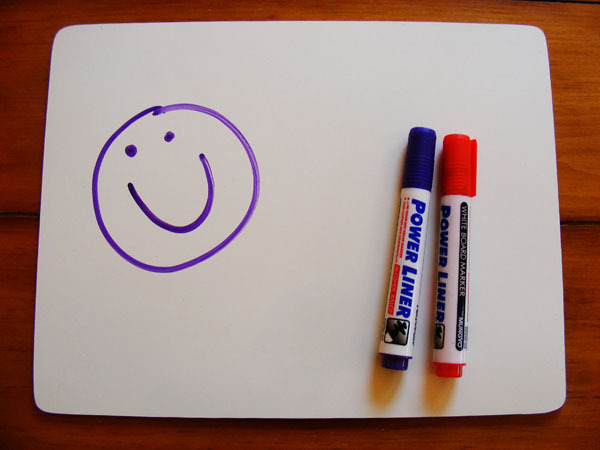 They should write their answers silently on their whiteboards and when the teacher says "show me" they reveal their boards and as a class we say the correct answer together. This worked really well as everyone, even the lower level students, could see the connection between the sound and spelling of the word. A great way to practice phonics in the first week! 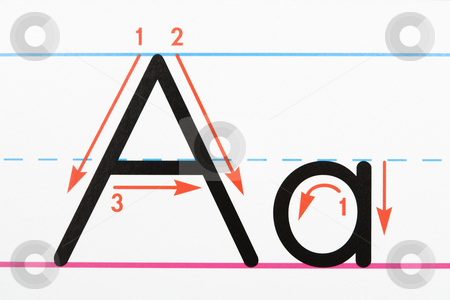 You can download the A here for free! I'm creating these ABCs that children can colour in and I am planning to teach 2 letters and their sounds every lesson for grades 3 and 4. 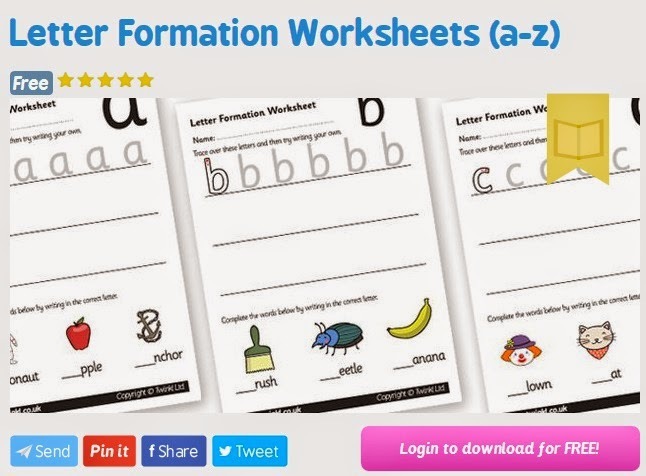 This way we learn phonics throughout the year (well, at least through half the year) and it is also a nice little and creative routine to have every class. 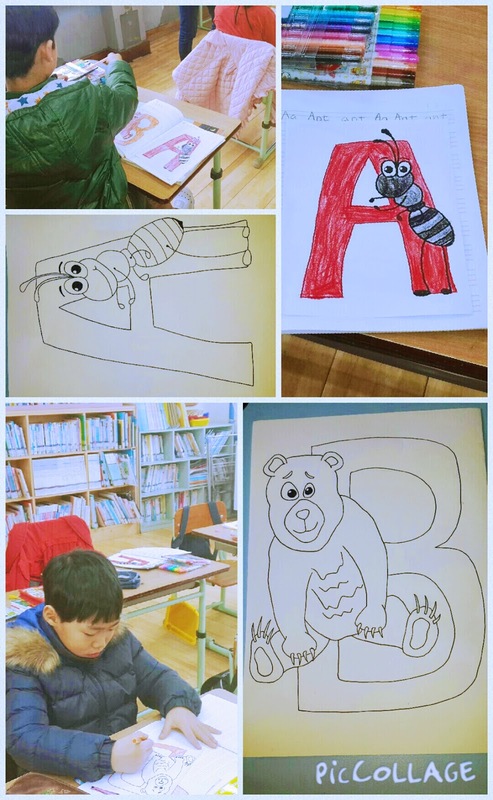 I tried letters A and B with my grade 3s and 4s this week and they really enjoyed the colouring part of it. Before colouring I had written on the board, using my best handwriting possible, the letters A and B in both capital and lower case as well as the words ant and bear (to match my letter illustrations). I had the students copy down the letters and words in their best handwriting in their textbook. We even went over how to write the letter. I also played the classic Alphabet Stew game with my 5th and 6th graders to get them thinking and a little expanding of vocabulary. 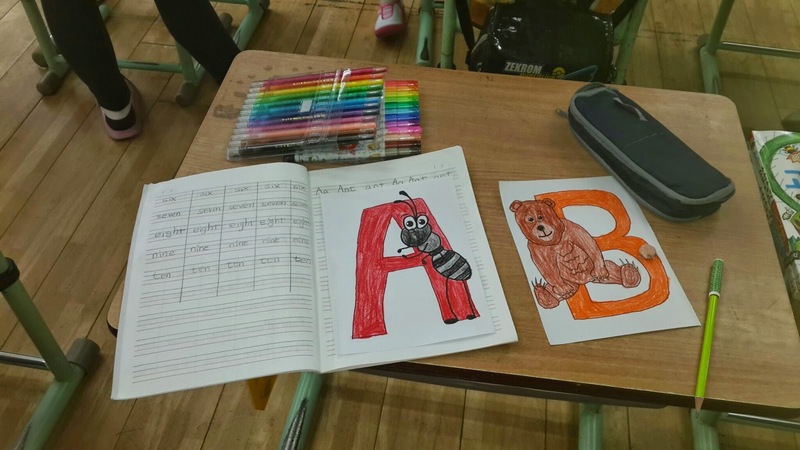 This is a game where you simply write out the Alphabet on an A4 paper (portrait way) and then tell the class they have 3 minutes (adjustable) to write an animal/country/clothing item/ whatever-topic-you-want for each letter. 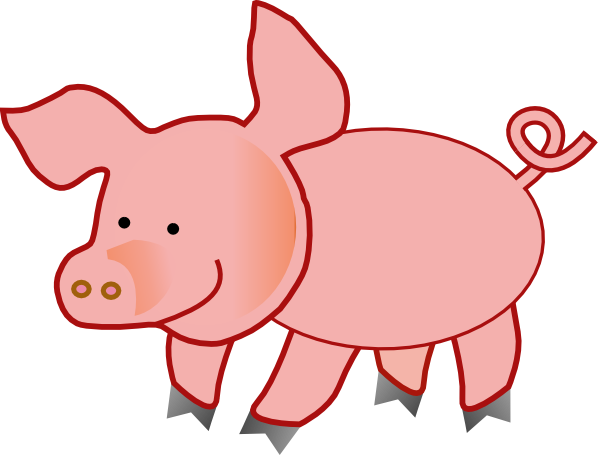 We did animals and jobs for 6 grade as one of the textbook starts with jobs anyway, so a good intro to the upcoming lesson. I also did a quick 'Sentence Unscramble' and handwriting practice, also downloadable from Twinkl. It is the combination of synthetic phonics and phonemic awareness. Most have probably heard of phonics, but phonemic awareness is a concept less well known and ?it's not something you hear about often. Certainly, phonics is absolutely necessary to develop fluent reading skills; however, there are different types of phonics including embedded, analogy, analytical, and synthetic phonics. 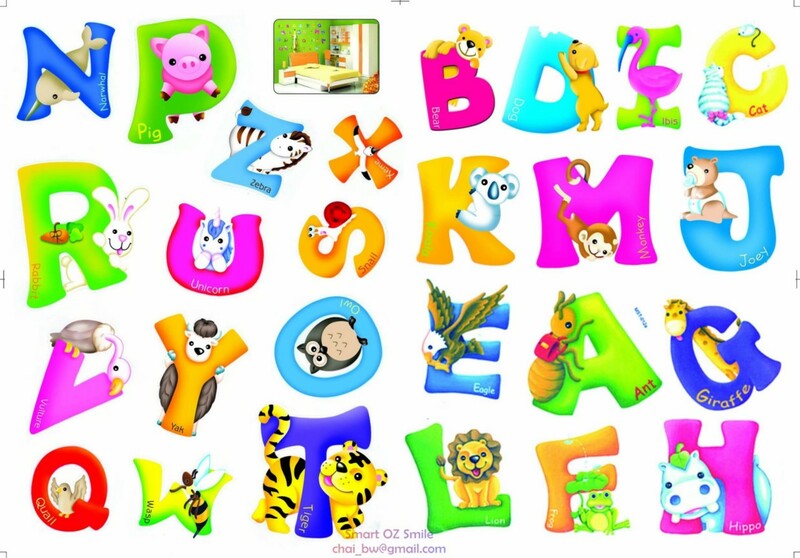 While using some type of phonics is better than not including any phonics instructions at all, you will achieve FAR BETTER results by employing synthetic phonics, which is by far the most easy and effective method for teaching reading. Multiple studies support this. Snakes & Ladders for Grade 4 ! "This is Bora."